PayPal is an online bank which helps to send and receive money. It operates in most of the popular countries and widely used by online merchants. 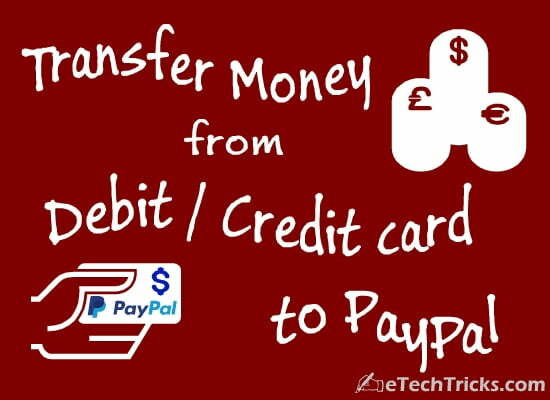 In PayPal, there is a pre-built option to transfer or withdraw money from PayPal account to bank account, but there is no direct option to transfer money from bank account or credit card to PayPal account. Follow the below instruction to do the bank to PayPal transfer by legal way. Log in to your PayPal account. (Create a new PayPal account if you don’t have it). 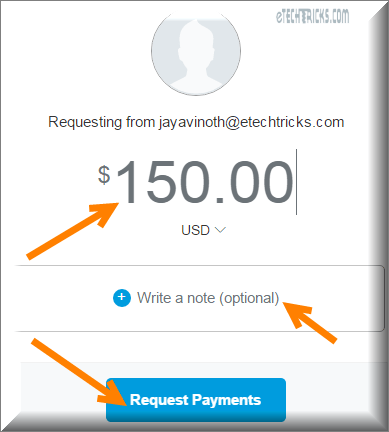 Click Send and Request button on the top of the page and then click Request payments. Once you get the confirmation page with green tick mark, Click Log Out button at the top-right corner of the page. 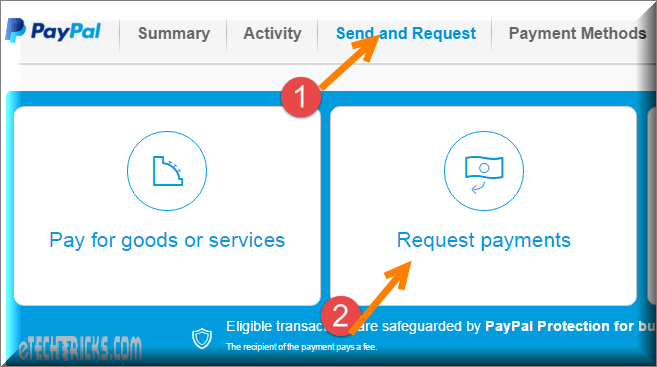 PayPal will send an email to your email address which you entered in step 3. Login to the email address which you entered in the Step-3 and open the email from PayPal. Make sure that all the details are valid and click Pay now! button. Now you can see a secured PayPal invoice page with the email address and the amount. Make sure that the details are valid and click Continue button. In the next page, click the Pay with my debit or credit card link. Provide debit card or credit card details from which you want to transfer the fund. 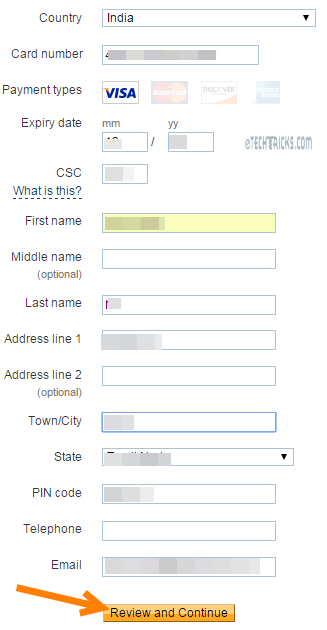 Fill all the fields and click Review and Continue button. PayPal is a 100% secure network so provide your details without worries. You will have redirected to your bank’s website to process the money transfer. Some bank may ask for 3d secure pin or a One-time password (OTP) to process the transfer. Enter the required password, 3d secure pin or a One-time password (OTP) and click Submit. That’s it. Your job is done. 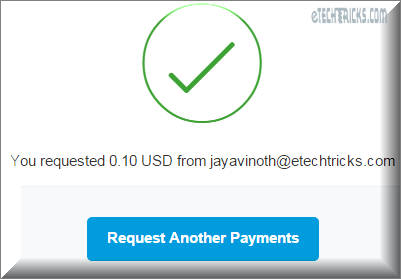 After few seconds, your PayPal account will be credited with the transferred amount. If there is any internet connection failure while processing the funds and money got debit from your bank account, then please contact your bank to refund the money. PayPal guarantee full protection of transferring and holding the money in PayPal account. While executing the above instruction, carefully read, understand and provide the required details. In STEP-9, provide the debit card details to transfer money directly from Bank account to the PayPal account. my name is alexander and i want to know any one can do this or not does country which paypal accept ! i really need to transfer my money form master cart to paypal and i am in afghanistan and paypal don’t accept afghanistan ! i hope you can show me a good way ! Hi Alexander, while checkout using PayPal, you can see option to pay using Credit card.